1. Welding high tensile steels with uts upto 70kg/cm2. 2. Welding grain refined q&t steels. Welding high tensile low alloy steels, nickel steels, nickel molybdenum steels, fillet and attachment welds in t-1, hy-80, hy-90 steels, quenched and tempered steels. For welding low alloy, high strength fully killed fine grained steels having a tensile strength of above 70kgf/mm2 penstocks. For welding hign tensile steels, such as usst-1, hoag n-a-xtra 65, n-a-xtra 70, bh65. Used for the welding of steels with a low yield to tensile strength ratio. 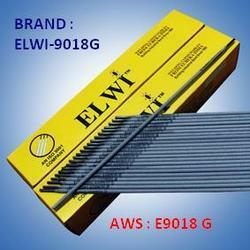 For welding high tensile steel xabo-90 manufactured by m/. S thyssen(hoag).